June’s warm weather causes extra dryness to the water moisture of hanging baskets and pots. You may need to water daily or on hotter days up to twice a day. I like to water once in the morning and again just before dusk. You can also add Soil Moist, a water grabbing polymer, to your potting soils to help reduce how often you need to water your plants. Some blooming annuals and perennials may tend to get leggy and even brown around this time. Give them a good pruning/trim to shape them up and see them spring back to life. You might have to give up some flowers, but once your plant boosts back, it’ll give you another season of color! 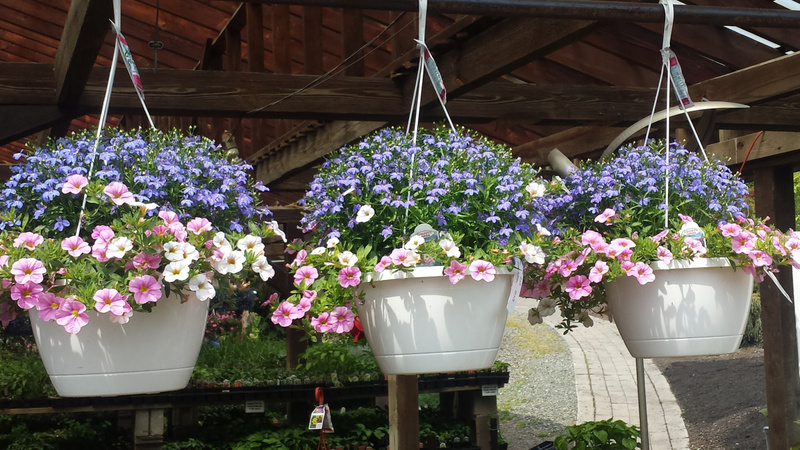 If you haven’t yet beautified your outdoor space with color, don’t forget how easy it is to purchase a hanging basket and plop it right into a planter or pot! 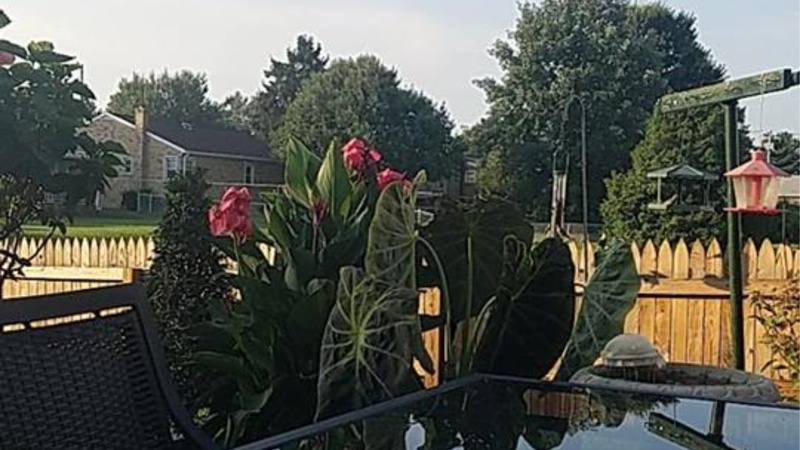 I have done this with New Guinea Impatiens and the results were amazing! Again, I watered it twice a day and it grew to an unbelievable size! Tropicals will also give you a “retreat” feeling when you add several around your deck or patio. We offer hundreds of various palms, hibiscus, mandevilla, oleander and jasmine! If you’re short on space, many vegetables and herbs can be planted in pots or raised garden planters that you can place right on your patio! 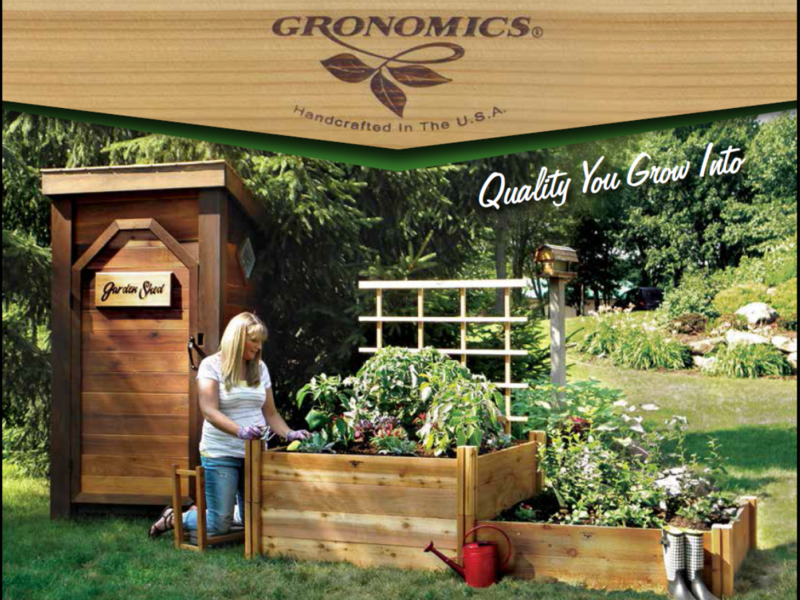 We carry several options in the Gronomics line of customizable raised garden beds. Keep ahead of pest problems by staking your tomato plants and other vines early enough that they aren’t growing along the ground. You can control borers/worms on squash, melons and cucumbers by using Bonide Eight, Bonide Dragoon Dust w/ Copper or Captain Jack’s Dead Bug Brew. Set your houseplants and tropicals outside where you can enjoy them in the fresh air and sunshine. Be sure to slowly introduce them to the direct sunlight so their leaves do not scorch. Warmer weather means you’ll need to keep an eye on your trees & shrubs that may need attention to watering. Gator bags are an ideal solution for this situation. This product wraps around the base of the trunk and slowly releases water to the root ball over a period of 15-20 hours, making it a cost effective tool in the prevention of plant loss on your property. It’s very important to keep an eye out for unwanted insects and diseases if you want to maintain your landscape investment into the future. Arborvitea is a popular landscaping tree/shrub in our area and can sometimes be prone to bagworms. You can use Bonide’s Eight or Thuricide at the first sign of any infestation. Spider mites can be controlled by using Captain Jack’s Dead Bug Brew or Bonide’s Systemic Insect Control. Spider mites can be found on Azaleas and Alberta spruces among other plants. Mildew can pop up on roses, lilacs and other plants. Bonide’s Fung-onil, Infuse, Mancozeb or Copper Dust/Liquid are suitable products for this disease. 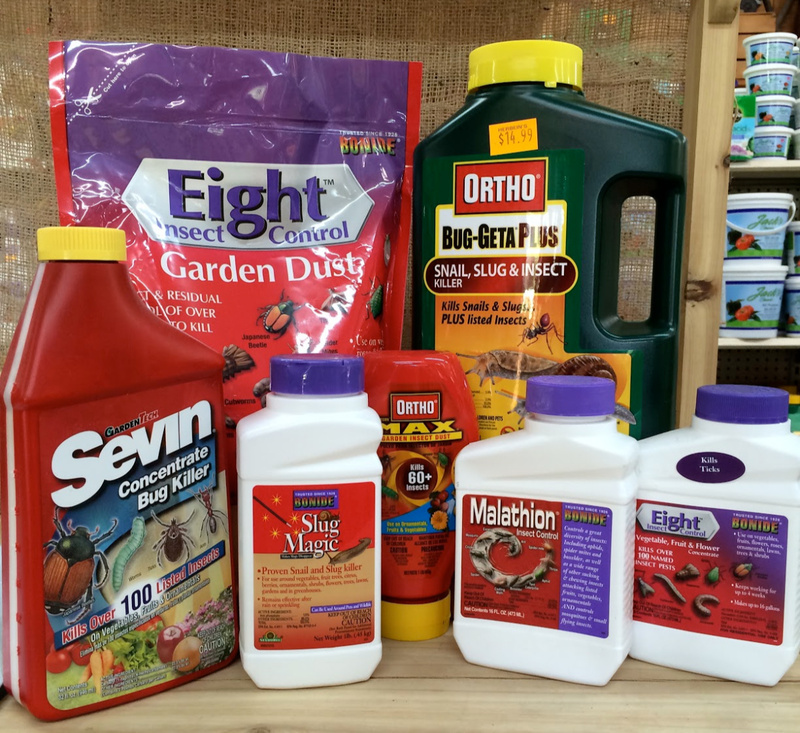 Control wildlife such as rabbit and deer from being a nuisance and damaging your plants by using products like Liquid Fence Deer & Rabbit, Bobbex or Bonide’s Repels All. You can also use fence posts and netting to protect berry bushes and other delicate plants if necessary.